The future of Anthony Davis is uncertain. He is currently under contract with the New Orleans Pelicans through the 2019-20 season with a player option for 2020-21. In six seasons with New Orleans, Davis has made two playoff appearances compared to the Celtics’ five. With the departure of DeMarcus Cousins, Davis is not expected to exercise his player option. Rather, he will be traded prior to the 2019-20 trade deadline or will enter free agency prior to 2020-21. Unfortunately due to stipulations around the “Rose Rule”, trading for Davis may be difficult. That said, let’s look at why Anthony Davis to the Boston Celtics is inevitable. The Celtics have more assets than they can handle. General manager and president of basketball operations, Danny Ainge, has been compiling resources since 2013. 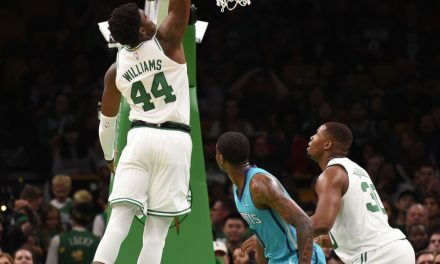 Boston currently owns four first-round picks in the 2019 draft: Boston’s own, Sacramento’s (Top 1 protected), Memphis’ (protected 1-8 in ’19; 1-6 in ’20 and unprotected in ’21) and the Clippers (protected Top 14 in ’19 and ’20). If Ainge trades for Davis, a combination of picks will surely be exchanged. Due to Davis’ contract, players must also be traded to ensure teams are salary cap compliant. This means that Al Horford ($29M), Gordon Hayward ($20M), or Marcus Smart ($11M) must be included in the deal. 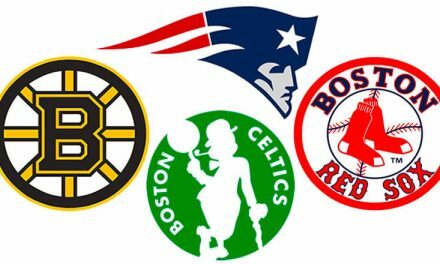 Other trade chips for Boston include Terry Rozier, who is a restricted free agent at seasons end, and Jaylen Brown, who has a club option for 2019-20. The Celtics must be favorited to land Davis if New Orleans is to trade the superstar. 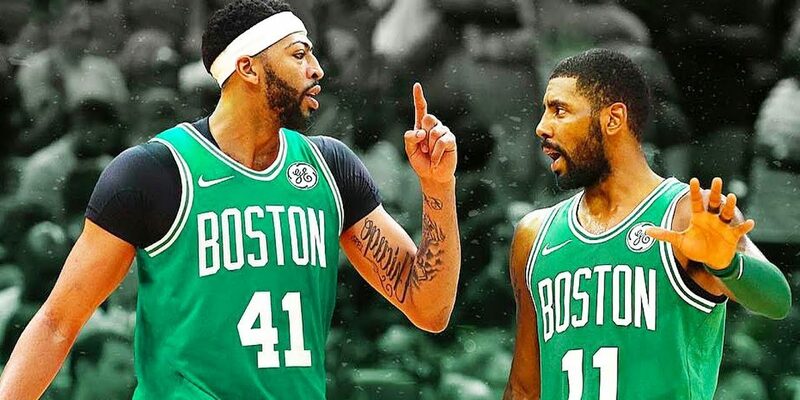 If Davis wants to win an NBA Championship, then Boston will be his destination. He will likely enter free agency prior to the 2020-21 season. 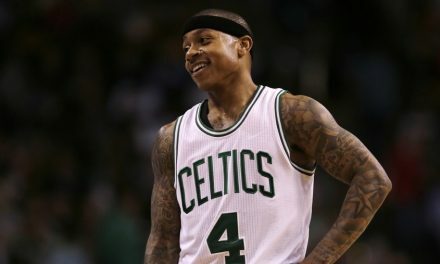 Boston will have ample money to sign Davis, as Al Horford and Marcus Morris will be off-the-books. Joining the Celtics would mean many things for the former first overall draft pick. Led by head coach Brad Stevens, the Celtics posses a young core destined for multiple deep playoff runs. 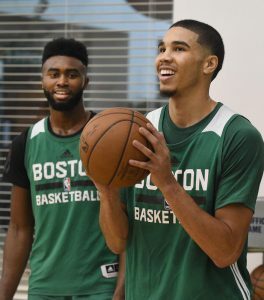 Jayson Tatum and Jaylen Brown look as promising of a duo as Tracy McGrady and Vince Carter. 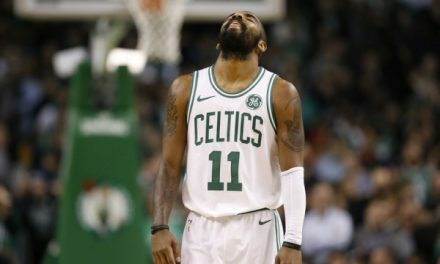 Them, along with Kyrie Irving and Gordon Hayward, can allow Davis to reduce his field goal attempts, making him a more efficient scorer and willing passer. According to Bovada Official, on September 28, 2018, the Lakers were favorites to land Davis in free agency. Though, by joining the Celtics, Davis will become the top title contender in his conference. Something he cannot do in the West while the Golden State Warriors dynasty remains in-tact. Expect to see Davis in Celtic green soon.